It seems this year so far the only scooper keeping the rumor mill afloat has been Latino Review's El Mayimbe. Taking a break from his constant stream of Suicide Squad revelations he's back with another Instagram bomb this time involving Marvel's planned Captain Marvel movie. Not only has the lead role been cast but she'll also cameo in Avengers: Age of Ultron. News of her appearance in the film corroborates earlier reports from script reveals and Badass Digest. She'll likely appear at the end of Ultron when a new team is formed including Carol Danvers aka Captain Marvel. No director has been chosen, but an established screenwriter is being sought. Some of the more popular fancasting choices for Danvers have included actresses Katie Sackhoff, Katheryn Winnick, and Emily Blunt. Avengers: Age of Ultron opens May 1. 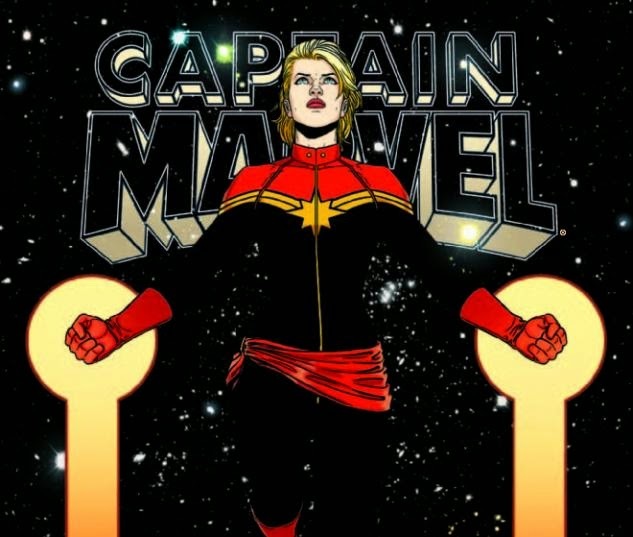 Captain Marvel opens November 8, 2018.